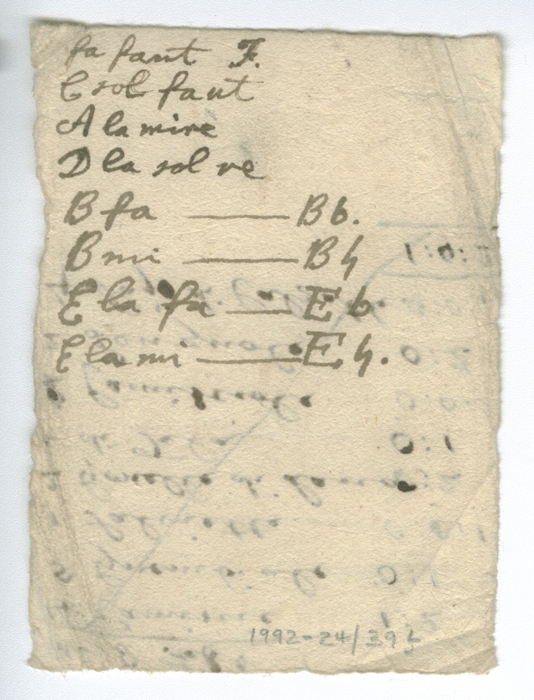 Small piece of paper written on both sides. 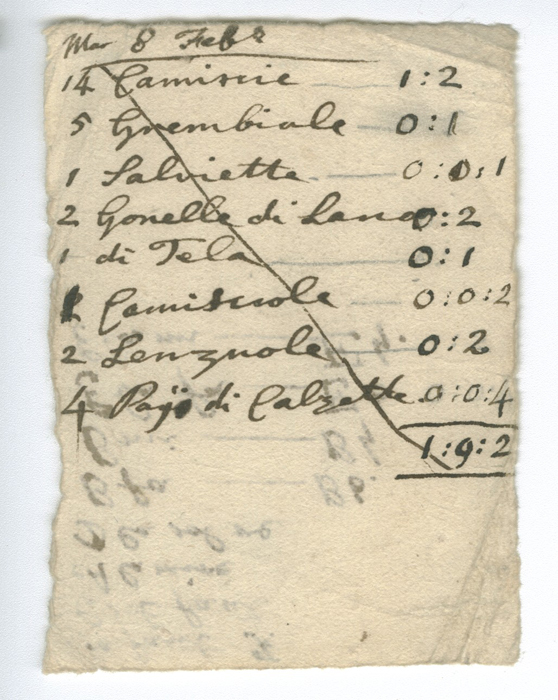 The first, written in Italian, appears to be a laundry list or list of purchases. 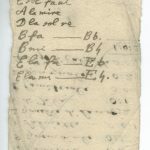 The reverse has a series of odd jottings, perhaps for a song? 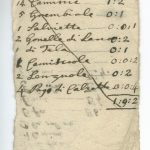 No date, but presumably 1764, when the Garricks were in Italy.